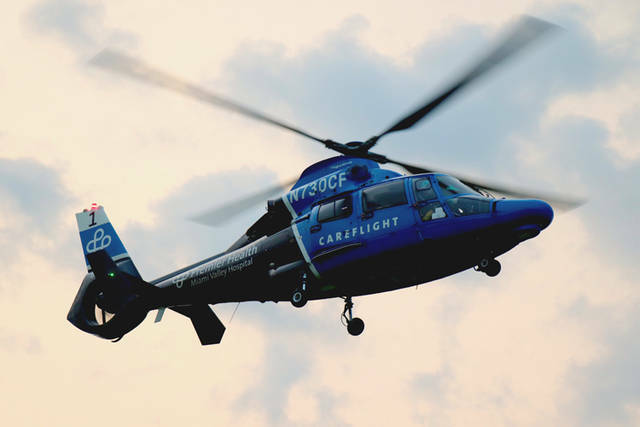 A man and a woman were treated on the scene by Ansonia and Osgood Rescue before being CareFlighted to Miami Valley Hospital for non-life threatening injuries following a Saturday evening motorcycle crash. 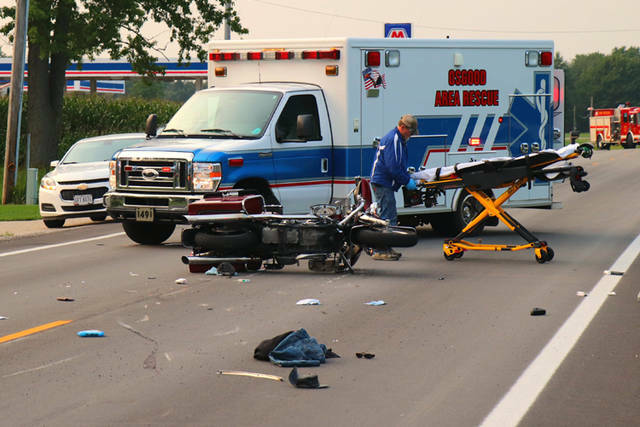 NORTH STAR – A motorcycle accident resulting from a blown tire has left two CareFlighted for their injuries. At approximately 7:20 p.m. Saturday, emergency personnel from North Star Fire Department and Ansonia Rescue with mutual aid from Osgood Fire and Rescue Department along with deputies from the Darke County Sheriff’s Department and CareFlight were dispatched to U.S. 127, just south of State Route 705, in regards to a motorcycle accident with injuries. Upon arrival crews found the male operator and his female passenger laying alongside the road in a ditch. 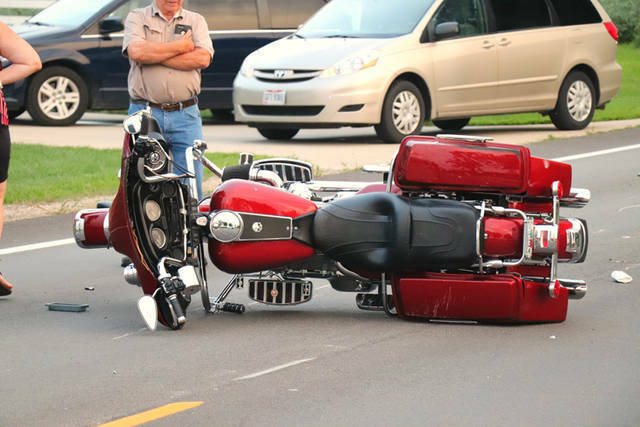 Preliminary investigation revealed a red 2007 Harley Davidson, driven by Greg A. Byrd, 46, of Greeville, was traveling north on U.S. 127 when the rear tire blew, causing the vehicle to overturn. Byrd along with passenger, Melissa L. Brenneman, both were ejected. 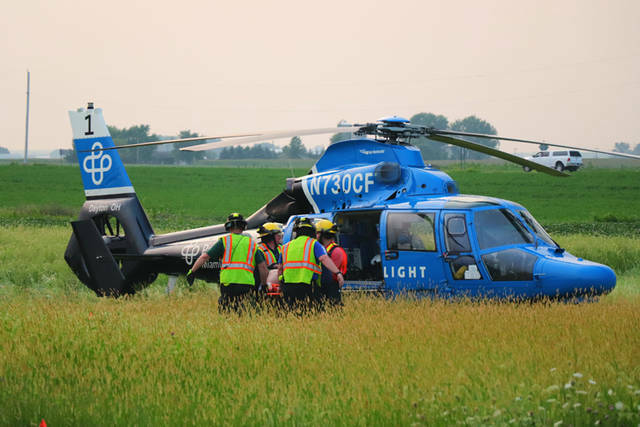 They were treated on the scene by Ansonia and Osgood Rescue before being CareFlighted to Miami Valley Hospital for non-life threatening injuries. Officials on the scene stated both patients were in stable condition, conscious and speaking when they boarded the helicopter. Deputies believe speed and or alcohol were not involved in the accident. The accident does, however, remain under investigation by the Darke County Sheriff’s Department. This entry was tagged Ansonia, Ansonia Rescue, Careflight, crash, Darke County Sheriff’s Department, Miami Valley Hospital, Motorcycle, North Star, North Star Fire Department, Osgood, Osgood Fire and Rescue Department. Bookmark the permalink.